The wife and I went to walk the bird beach at dawn. 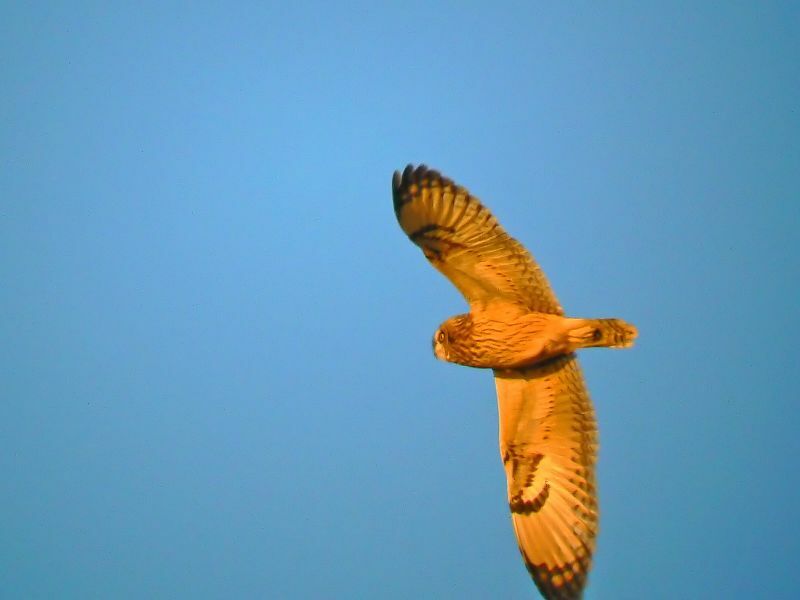 There were three Short-eared Owls flying around and I took a lot of shots. Even allowing for it was only a few minutes past sunrise I was not happy with quality, so around noon I went to my local beach to practice flight shot settings since I have not done them other then casually for months. This could be a continuing saga if the owls are there tomorrow. Steve, I`m not exagerrating when I say that your gull shot is one of the best gull flight shots i`ve seen,and certainly THE best i`ve seen taken with an FZ.....the way the horizon cuts behind the bird halfway down is perfect and the bird is pin sharp, so sharp in fact it could pass as a DSLR shot. Thanks Mark. 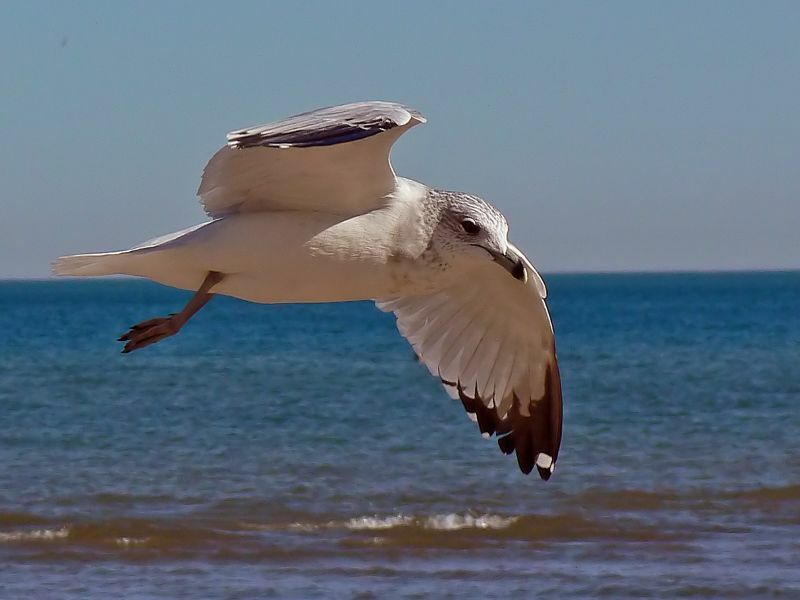 I have a couple more gulls that might be as fine technically, but I liked the angle of the wings on this one. What I really wanted and did not achieve though is to have a sailboat in the frame. I could not catch a gull low enough and close enough at the same time. Another thing to work at if the weather holds and the boats stay out. Yes, I think the actual pose of the bird is pretty near perfect on that shot.I`d consider entering the gull shot for a POTD or similar its certainly good enough to win you something. Just spent a while checking out your Flickr pages.....you`re amassing a very impressive collection of shots there....nice to see some familiar birds (mostly wading birds) which we get here in the uk too.We also get Short Eared Owls, but its a little early for them to show round here, they come down towards the coast from their upland breeding grounds to overwinter around November time. Steve, the gull shot looks absoutely perfect.I hope your practice will pay off in the morning with the owls. As a meager update; I saw one owl this morning and got one shot of it as it flew so far over the lake it became invisible. Not a great shot, just useful for ID. Others flushed three out of the dunes but I was on the pier and shoreline as I wanted the greatest probability of having the sun behind me. Did get some nice shots of various other birds but nothing to say Wow! about. But there is always tomorrow. And so on. That second shot is spot on Steve, good capture. I totally agree with Mark, the gull shot is excellent. Well done Steve.